Why did I pay over face value for my tickets? 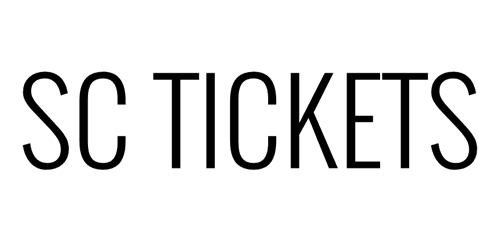 SC Tickets is a ticket broker, or ticket reseller if you will. We buy tickets and sell them. We specialize in tickets to sold out events and VIP seating. When you buy tickets from us, generally they are tickets that are unavailable other places. SC Tickets accepts Visa, MasterCard, and Discover. We also accept ATM cards ONLY if they have the Visa or Mastercard logo. If you come into our office and order your tickets in person, you may pay by cash. Why does your site look so weird on my computer? www.sctickets.com requires that you use Netscape 6.0 or later, Internet Explorer 5.0 or better, Camino 0.7 or better, or Safari 73 or better. Please have a resolution of 1024x768 or better. You may have problems viewing sctickets.com with AOL, but it should be fine as long as you have version 8.0 or better..
How do I know that my order with SC Tickets is secure? SC Tickets online ordering process uses what is known as 128 bit SSL Encryption. Every packet of data that is transmitted from your computers to ours is completely scrambled and then securely transmitted and decoded. We use the Verisign system, and you can check our security certificate here. After your order is complete, all purchases are final. SC Tickets Inc, does NOT give out or sell any customer information. We do not solicit, or encourage soliciting. After your purchase is final, there are no exchanges. This page may be freely used in any way you like, provided that you supply the whole story (to avoid taking something out of context) and a reference to this page is included. What happens if the seats I requested are no longer available? You will contacted ASAP, and you will be given the option to either purchase different seats, or cancel your order. Do I have to have the tickets shipped, or can I have them will-called? The only situation in which we will will-call your tickets is if you purchase them the day of the event. What should I do it my tickets are lost/stolen/destroyed? You must have a record of your purchase, and call us immediately. In some cases they are replaceable, in other cases the box office will not replace it. It depends on the venue. You must have exact proof of the ticket you purchased. Can you sell my tickets for me? What if a specific event is not listed on your website? Please email curtisaa@aol.com or call us 800-888-7287, and we will see if we can locate the tickets for you. Tell me more about SC Tickets Inc.
SC Tickets was established in 1978, and is one of the leading ticket brokers in Southern California. Currently we sell tickets all over the United States as well as selected international events. We are located off of the Rose Parade route, in Pasadena, CA, home of the Rose Parade and Rose Bowl.